It is well known within regenerative medicine industry circles that the Australian sector shows clear potential and successful academic research. However, when it comes to the commercialisation of said research, the local industry falls short. So how much truth to that is there? The current Australian RM research environment and industry are considered as one of the world’s most innovative: Ranking 4th in the 2014/15 Scientific American overview and the 6th biggest when it comes to publications in health and medical research. Australia can boast not only successful research but also strong business acumen as seen with companies such as Cynata Therapeutics. The global RM industry is an exciting place to be, expecting to grow from USD 17 billion in 2016 to 38.7 billion by 2021, we can expect a rapidly changing and evolving industry. World-class medical infrastructure: Excellent hospitals and health system, globally ranked universities,and top-tier research centres. As with a rapidly changing field, challenges come alongside the growth. The diversity of the RM industry adds a layer of complexity as the commercial models can vary within the sector. poorly developed commercial skills and knowledge amongst emerging RM researchers and companies. Moving forward, it’s imperative that we leverage our opportunities and strengths. This includes establishing connections and fostering relationships with global RM companies, taking advantage of TGA regulation and utilising our skilled workforce. Additionally, we need to ensure that our business and scientific knowledge are combined to create the correct commercialisation model that will most benefit us. At CCRM Australia, have committed ourselves to this mission. By having a clear grasp of our industry’s opportunities and weaknesses, CCRM Australia can leverage networks and industry knowledge to make informed decisions and create strategies suitable for our present and future RM challenges. 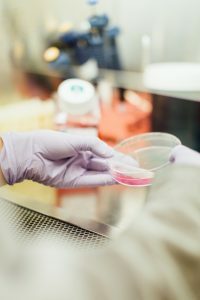 By working together collaboratively and innovatively, we can look forward to navigating the uncertain waters of regenerative medicine and pave the way for a successful future.